This first-of-its-kind independent study, funded by Oxfam India, evaluates the role of electricity access on health outcomes in rural Chhattisgarh. The study establishes a strong correlation between sustainable development goals, focusing on good health and well-being (Goal 3), and focusing on affordable and clean energy (Goal 7). 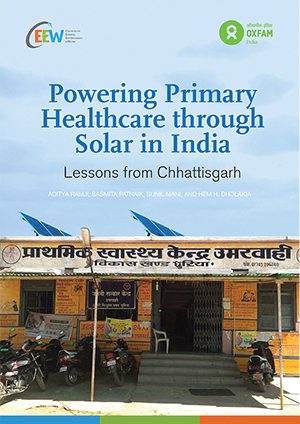 The study is based on an evaluation of 147 primary healthcare centres (PHCs), including 83 having solar photovoltaic (PV) systems, across 15 districts in Chhattisgarh. Of the functional PHCs in India, 4.6 per cent are unelectrified, affecting over 38 million rural households. One out of every two PHCs in the country suffers from unreliable power supply or has no electricity access at all. Despite being a power surplus state, one-third of the PHCs in Chhattisgarh are either un-electrified or without regular power supply. About 90 per cent of PHCs reported power cuts during peak operating hours. One-third of the PHCs experienced power cuts in the evening. More than 21 per cent of the PHCs reported damage of medical equipment due to voltage fluctuations. Solar provided a reliable power backup to PHCs, especially during peak load hours and after sundown. It could potentially be a primary mode of power supply. Ninety per cent of the solar-powered PHCs reported cost savings from using solar PV systems over diesel generators. Diesel power costs INR 24-26 per kWh while solar plus battery costs around INR 12-14 per kWh. The ability of solar-powered PHCs to operate cold chain equipment for storing vaccines and drugs, and newborn care equipment improved significantly. Higher comfort due to better lighting and running fans increased patients’ willingness to get admitted. Solar-powered PHCs admitted over 50 per cent more patients and conducted twice the number of child deliveries in a month compared to power-deficit PHCs without a solar system. One-fourth of power-deficit PHCs rely exclusively on solar as a backup to run cold chain equipment. Providing solar (5 kW systems) to all PHCs, Sub-Centres and Community Health Centres across India could contribute to about 415 MW of the rooftop target. Solar for healthcare is an opportunity to simultaneously address the (often competing) goals of energy access, energy security, resource management, and health outcomes. 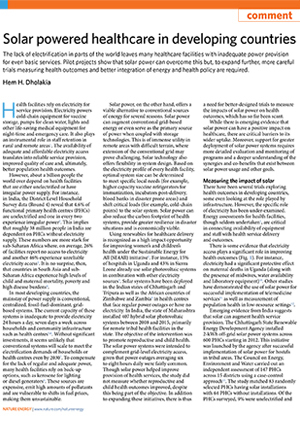 Include electricity access as a critical component in health infrastructure while drafting policies. Augment electricity supply with solar systems. Give priority to power-deficit health facilities, especially those providing 24x7 services. 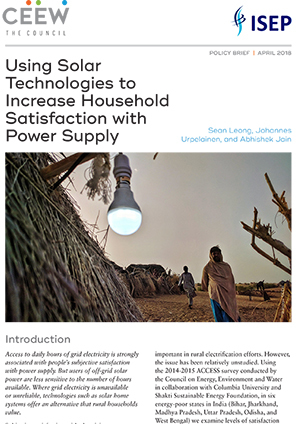 Tailor solar system designs based on local needs and considerations, and equip PHCs with off-grid solar systems. Scale solar across health centres in India to meet the targets of both the National Solar Mission (NSM) and the National Health Mission (NHM).